Medjet expatriate evacuation medical transportation is one of our favorite international evacuation travel plans. Medjet expat evacuation allows, if possible, to have you flown back to any medical facility in the U.S. or anywhere in the world Please note that this is only an evacuation only plan and does not cover medical travel insurance. The Medjet expatriate medical transportation plan is the top of its class when it comes to transporting you, the member, to a medical facility. Medjet evacuation offers the most comprehensive travel protection and medical transport memberships available for your health, safety and security. If a Medjet evacuation member becomes hospitalized more than 150 miles from home and meets transport criteria, Medjet medical evacuation will arrange medical transport to the hospital of their choice within their home country at no additional cost. Medjet evacuation members have access to premier air-medical transport-virtually anywhere in the world; U.S. domestically or internationally, for business or pleasure. A medical emergency can happen anywhere. We can get you home. As a Expatriate Medjet member, if you are hospitalized 150 miles or more from home and meet medical transport criteria, MedjetAssist will arrange air medical transfer to the hospital of your choice in your home country, from virtually anywhere in the world. All you ever pay is your membership fee. One must purchase the initial Medjet evacuation only membership while in the U.S. Before the membership expires, one may reapply (as long as the membership has not lapsed) while outside the U.S. If already residing in another country, call us (Good Neighbor Insurance at 480-633-9500 or email email one of our licensed international insurance brokers at info@gninsurance.com) about eligibility. Will medevac back to a hospital in your current country where purchasing from, not to a hospital in the USA, unless purchased while in the USA. Good Neighbor Insurance has been in business for over 20 years! Every one of our international trained agents has a heart to serve you, our guests. 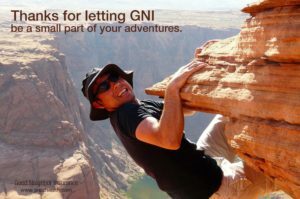 It is a joy to know that we can provide a peace of mind with one of our many overseas medical insurance options or evacuation only memberships to safe guard from financial calamity as well as providing you the best medical care (our travel insurance medical insurance options at https://www.gninsurance.com/international-travel-health-insurance-plans) and also evacuation plan while on your travels.